Michael found plenty to choose from in the way of annuals at Seasons Four Nursery. Michael Weishan joined expert Michael Ruggiero at Seasons Four Nursery in Lexington, Massachusetts, for an overview of plants that can be used as garden annual. What he found was a surprisingly rich variety. When considering a choice of plants for their gardens, it seems many people choose to say no thank you to annuals. That's because annuals have gotten a rather bad and widespread reputation over the years as little more than the feeble relatives of hale and hardy perennials. What's more (or less), the term "annual" tends to bring to mind a pretty limited array of options. Well, The Victory Garden is here to tell you it doesn't have to be that way. 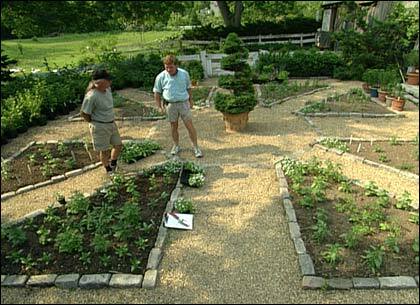 Gardener Kip Anderson and Paul Epsom discuss the Victory Garden's parterre just planted with Kip's own seed-grown annuals. Botanically speaking, an annual is any plant that germinates, grows, fruits or blooms, goes to seed and then dies all within one season  old familiars like marigolds, petunias, zinnias and impatiens probably ring a bell. But around 99% of what gardeners use, and nurseries sell, as annuals  especially in New England  aren't considered annuals at all in other parts of the world. 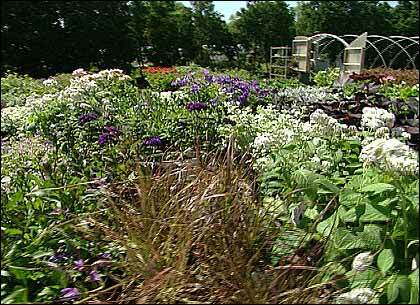 Some are actually tropical perennials, some shrubs and trees, others so-called "tender" perennials. This is due to the fact that the definition of an annual has gradually become more flexible, to the point that it's now more about a plant's zone hardiness than its intrinsic life span. The new definition is something more along the lines of: If it dies in your garden after a year, it's an annual. Many plants that will behave as annuals in Boston, for instance, might well survive the winter in Birmingham. So if you live in a northern climate, your local garden center probably has a whole range of such "annuals" to choose from. And because they require less commitment, you can have fun experimenting with these plants to beautiful effect in your garden. 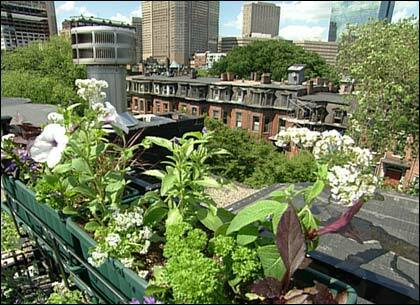 The roof deck garden was finished off with a variety of annuals in hanging box planters. Michael Ruggiero is the author of Annuals with Style (2000). This segment appears in show #2709.